Mr. Manuel Clarke Thornton, 89, affectionately known as “Pop” of Lincolnton Rd. entered into rest on Tuesday, October 16, 2018 at his residence. Funeral services will be held on Thursday, October 18, 2018 at 3:30 p.m. at Rehoboth Baptist Church. Interment will follow in the church cemetery. The family will receive friends from 2 p.m. until the hour of the service in the church sanctuary. Mr. Thornton, son of the late Manuel Clarke and Ruby Jordan Thornton was born in Wilkes County on September 22, 1929. When he was nine years old, his father passed away and at an early age, he and his brother “Gene” were no strangers to hard work. “The Thornton Brothers” planted pine trees for Champion Paper Company and soon began a pulpwood harvesting operation. 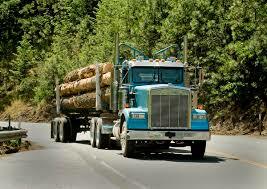 From that, they grew the business that would become Thornton Bros. Logging. A typical day began before daylight to the logging woods and by what most would refer to as the days end, would be the beginning of the work that was to be done on the cattle farm which in the Summer months included cutting, raking and baling hay. He enjoyed logging and he would often mention that he was cutting trees that he planted earlier in his life. In the last few weeks, with his health in a state of decline, he was still eager to hear how the daily logging production was going. 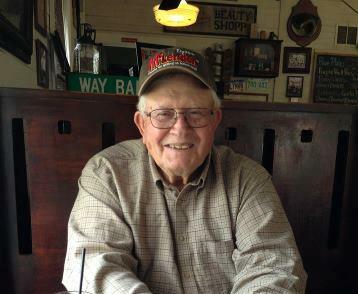 He was a member of Rehoboth Baptist Church, U.S. Army National Guard, Kettle Creek Rifle & Pistol Club, and hosted a Shoot to Retrieve event for many years. In addition to his parents, he was preceded in death by his wife, Mary Callaway Thornton, son, Richard Clarke Thornton, and brother, Eugene Thornton, Sr. He is survived by a son, Terry Thornton and daughter, Susan T. Burgess and husband Melvin; daughter-in-law, Faye J. Thornton; sister, Grace T. Hunter ; grandchildren, Chad Thornton, Jeremy Burgess, Shannon Thornton, Chris Burgess, and Derrick Thornton; 5 great- grandchildren; caregiver, Angela Dill. In lieu of flowers, contributions may be made to Rehoboth Baptist Church, c/o Alan Ivey, 3028 Lovelace Rd., Lincolnton, Ga.30817. Beggs Funeral Home, Lincolnton is honored to serve the family of Mr. Manuel Clarke Thornton.